Welcome. This blog was started 13 years ago when there were few sites with free posting by prisoners. It got so clogged that I started other sites. Since it has a following and people use it to find old friends and family members,we are now beginning to update posts and add recent postings. None of these prisoners have computers so you need to write them using pen and pencil- and for older postings,check with vinelink.com or email us for current address. PRISONWORLD VIEWS. prisonworldviews.wordpress.com Studies covering all aspects of priosners and the prisonindustriual complex. Latest supreme court decision affecting plea brgaining and much more coming. SECOND CHANCE FOR THE ELDERLY PRISONER elderlyrelease.wordpress.com:discussed nationwide problem of elderly in prison-the $$expense and watse of life . Alternatives and a pathway for release. PDF studies, essays writings. I'm simply seeking a friend I can correspond with if not more, I have no ulterior motives or hidden agendas. I'm not trying to intrude or interrupt anything that you might going for yourself,. I'm seeking a woman that's open to new possibilities. I'm not requesting that you look past my faults, but that you give me the chance to show you the man I am today. I have a strong belief the same energy you project out is what you'll get in return, whether it be positive or negative. I like women with principles and depth not just education but intelligence, sophistication without being snobby, good taste but not materialistic, open to accept help but not needy a woman I can trust, are you her? I am a 30 year old intelligent, humorous, spontaneous, open-minded guy, hoping to find someone nice and sweet! Hopefully I'll find someone that has good chemistry with me so we can continue to build on the fabric of friendship while we search the world for our soulmates.. also my release date is October of this year. and warm, hey flow with life but take no form. long to help another carry on? And no one cares about why! Why do I feel so empty? What am I missing? Do you know? Give me direction, make me whole! Could you explain this void? I'm in need of guidance, thru walks of a loveless world. One raindrop in a river, time moving at a slugs pace trapped, emotionally confined. scared to love, for fear of not being welcomed, or not offered in return. Lonely like a book with no cover. A shame cause I have so much to give. No one to trust. No one to call my own Why am I here? So many questions, no one to answer them. I have reached out before, but all I have embraced is rejection: what's wrong with me? Am I so difficult, so hard to love? Is it because I'm proud? I heard the whispers, so I walk lightly like jesus. I won't settle for less than it's worth, but why is there a lock on my wealth? My love collects dust, unused like a secret never told. I would like to share it, but at what expense? Another heartbreak far too much. One can only wish to know the answers. Note: We again remind you to use FFUP post off box if you wish your address to remain anonymous and we will forward the inmate’s mail to you. Remember to give us your real address so we can forward the mail. It's transparent how draconian my situation is and I'm past the sympathetic stage. I'm seeking cohesiveness from the outside world because all of my previous efforts are stagnated. IN addition, more attention needs to be brought in cases similar to mines to eradicate this or the injustice will continue to occur; next it might be someone you love. To elucidate, I'm desirously the aid of prominent figures, prestigious firms, intelligentsia, people with resources, someone with a platform to voice my sentiments, people with media outlets, computer literates, fact finders, motivators and hungry lawyers who want to make a name for themselves, to help me obtain my freedom. The (in)justice system is trying to coerce me psychologically pertaining to my situation as credence with a contingent ending. I'm in such an abject state my faith with them is vacillating. If you saw things from my angle you would look upon our (in)justice system with outage. However, in assisting me I don't fall under the statistical numbers of the recidivist. My situation is not like those misleading numbers. I have a few people who still believe in my capabilities. Don't let the stigma of public opinion deter you from aiding me because my incarceration doesn't reflect who I am as a man. Contact me! Devin Brown gets 35 years to life for mistaken identity. Could you or someone you love be the next victim of Mistaken identity? Eye witness says to police that “someone “ just walked past and started shooting and she didn’t recognize him, but after being told by someone else Brown could be involved she thinks she knows Brown from going to his house. However , when picking him out of a photo array says only time she ever saw him was on night of the shooting. Then at trial she points to different person and says she knows me from a party. I was illegally arrested on August 03 and lost trial Oct 04. I felt compelled to sign a statement after I was confronted by a signed statement by my big brother implicating me as the one that killed someone. After I denied it several times through several intense interrogations and being denied a lawyer, it overwhelmed me and became too much for me to bear for someone never in a situation like that ever before. My brother’s statement wasn’t used at my trial , however , they used my statement and a faulty eye witness who gave several different contradictory statements and pointed to someone else during my trial in a photo lineup. In July of 04 an-out -of -court statement from a former friend of mine said I told him I shot the victim (so he could get released only later to catch another case in involving a toddler being killed) however at trial he plead the 5th and refused to take an oath to verify his statements but was compelled to testify, but I still couldn’t questions him because every question was “I don’t know,” “I don’t recall” or “I don’t remember”. A jury used no physical evidence to convict me. Now I am in the court of appeals again because the courts keep giving me the run around hitting me with technical errors because I am pro se. My appeal process is similar to the Emmanuel Page VS Matthew Frank case 43 F:3c 901 WI 2003, where they are not ruling on my issues. The circuit court sends me to the appeals court saying it’s their issues, then the appeals courts says it’s the state, then the state sends me back. The whole time the appeals court didn’t rule on my claims. This is where my problem is. I believe I have grounds for a successful appeal for those reasons also, my trial court judge is on record saying he sees a discrepancy with the detective’s version of events on how they entered my mother’s house. This was one of the most important motions I had but they chose to side with the police against my witness (my mother/ Niece) on a reason that doesn’t have anything to do with how the police gained entry into the house without an arrest warrant after ample time . I’m the victim of mistaken identity and over bearing police , misconduct, taking advantage of people who haven’t been I this type of situation and the judges are holding me to a higher standard than the people who take an oath to serve and protect. If you could help me in any way, it would be greatly appreciated. If not, please direct me to someone who can. Click on Pictures to view larger. Below are documents attesting to the overload that Wisconsin Innocence project is dealing with. As of June 2011, Devin's documents have not been viewed. My name is Danny, I am 21 years old, 5'6', with green/yellow eyes. I am a noble and respectful person . I grew up in a n outdoor life with a lot of adventures , one was what led me to prison for burglary/theft and battery. I have 4 years left out of 7 years. My life has not stopped because I am here. I keep a strong body and soul as well as mind by working out, reading many different books and taking time to find a meaning in this changing world. I have two tattoos that mark who I am , one a tribal cross on my left arm, the other one the super man symbol with my birth signs. I am using these tattoos and more to come, to mark what means the most in life. Music is the same for me . I am learning to play the guitar. It allows me to get away when days get boring or out of control. It also helps with getting to do something new. I hope this finds you in the best of health and I hope to hear from you soon. My name is Pierre, I', 5'10", I'm African American, I'm 22 years old, My birthday is May 3rd, I'm 300 pounds. I like to work out- well there ain't much else to do here. I get out next year- November 23rd, 2012. I love to cook and when I get out I am going to technical college for it. I played foot ball all through high school. I love to go fishing, swimming and any other sport you can think of. If I haven't played it before I will try it. I'm locked up for false imprisonment party to a crime, if you want to know more I will tell you. I'm writing in hopes of gaining a friend- perhaps more. I like to write because I can get things off my chest. I don't have nobody to write to or talk to in here. You don't want nobody in your business. It's hard when you don't have nobody on your side when you are in a time of need. The friends you thought you had was only your friends because of what you could do for them. And when you can't do nothing for them, they forget you. You might think I'm crazy cause I'm telling you all this and I don't know you.. but don't worry, I just like to write and I hope you are interested enough to write back. . I am a white straight male seeking to correspond with mature females for friendship and interesting exchanges of ideas, goals, and humor to help each other make out days brighter with positive direction. I'm serving time kin 23/7 lockdown mode right now with some years left to do.. It is not allowed in this facility to write other inmates, so I am seeking to hear from free-world females from any state. I have a photo to trade for same. I am 44, white, blue eyes, dark hair, 6'2", 200 lbs., Athletic build, artistic, mechanically inclined, free spirited, out of the box thinker, stuck in the box at the moment, but spiritually free and ever learning about this journey called life. Originally from Maryland, trapped in Texas. My D.O.B. is 10-26-66, my long release date is 2-6-20, short about 5 years from now-2-6-16. Aspirations: To be able to meet or have casual friendship with open hearted female friend. To build on or work towards a possible unique relationship. Mainly seeking to share the understanding of the fruits of life and its rewards. Great provider, but even more of an exceptional listener. IN WHAT WAY CAN I MOVE YOU? Seriously, in what way can I move you? If I promised you bright exquisite colors of the prettiest RAINBOW reflections, from the after effects of the down showers and beautified fragrance of the Amazon’s RAIN. IN WHAT WAY CAN I MOVE YOU?? When I place upon your palms ALLURING JEWELS from the purest of mines of the Mother lands or the yellowiest, brightest KARATS of GOLD that shine like the NAKED SUN, to the never before seen vision of your EYES. Maybe even if I offer you currency of infinite measure in YEN, PASOS, EUROS or even the declined DOLLAR. YES!! Does that move YOU?? An amount at your disposal. Ravishingly dressed, OH how do you not seem to be impressed, better yet MOVED? For this is genuine, meant to externally meet and interact and converse with our in BEING? This may be the most PRICELESS TREASURE he or she relentlessly DIGS and WILL BE MOVE BY its find. The unintentional attendance of present consciousness or HAPPINESS felt from the innermost has allowed me to reach or touch partially through; this is how you know I may have GENUINELY MOVED YOU!! A note of caution: We feel that children under the age of 18 should not write prisoners unless they specifically know the person. Below is a list of ideas for those who want to learn from other’s mistakes. Do not let it scare you off because the rewards from writing men and women in our prisons far outweigh the woes. Those of us who have become close to some inmates and their families have been on a journey of discovery and our lives have been greatly enriched. When one of us encounters difficulties with a prisoner, we often team up in working with an inmate- give each other support. On the other hand, one of the reasons we are so committed to this work are the wonderful friends we have made in the inmates. Prison breaks many people but it also forces many people to evolve into incredible human beings. Many inmate have a focus and outlook that is unavailable among we over stimulated “free” people. Please forget any preconceptions or stereotypes you may have heard of people in prison. In your first letter, explain a little about yourself why you are writing, and ask if the person would like writing to you. Introduce yourself, describe yourself and the concern that leads you to write. Feel free to ask about prison life, about the persons interests, where they are from, whether they have any appeals in progress etc. It's good to ask questions, because it gives the person something to respond to, but do not ask to many at once-especially in the first letter. Let trust grow between you, and always try to share as much about yourself as you ask the other person to share. If you feel you only will be able to write, for example, monthly, make this clear to the person. It is important not to promise things that you will not be able to follow through on. If you want to send things like books, stamps, stationary, or food, ask first whether the person wants them, whether they will be able to enter prison and how they will need to be sent. The person may ask you to send money- if you feel good about that, ask in which way you could send it. NEVER feel obliged to respond to a request for money, again, be sure to find out first in what form it must be sent. You may want to send the person a money order yourself, but ask beforehand if it is appreciated, it may be that the money goes onto an amount of debts, and the inmate would have wanted to receive a magazine subscription or so instead. You may want to visit this person in addition to writing. That would be great!! just ask him or her whether they want you to visit and what the hours and restrictions are concerning visits. He waill send you a form to fill out giving you permission to visit. Most prisons do not allow letters with no senders name and address. It is possible to use false ones, but bear in mind the prisoner may reply, so use an address you can receive mail from. If you want to use the FFUP-Postbox, please ask us beforehand, so that we know your return address! Be sure both your return and to address are legible. Always print your name and address neatly on the envelope and include it again in the body of the letter in case something happens to the envelope. Put your pen pals last name and correctional ID number on each sheet of paper or the back of any photos that you enclose - this insures that pages won't get lost when the mail is opened. Do not put off if you do not receive a reply straight away, prisoners are sometimes limited to how many letters they can write each week. One thing more to remember: all mail to prisoners will be opened and censored, so don't write anything that could jeopardize future actions or someone's freedom. 1) State your intentions in the first letter. Be clear about why you are writing the inmate. If you set the tone now, you can avoid misunderstandings later. Many male inmates will ask the woman writer for a romantic relationship- they are starved for the feminine. In this case, I often tell the inmate to think of me as a sister, mother or aunt. There are, however, many women who do have romantic relationships with inmates, so that is a choice also. FFUP is always available also to give our views on specific inmates as we know many of the people on our lists. Use our email or Postoffice Box. Forum for Understanding Prisons at yahoo.com (FFUP). 2) The great majority of the people we write are delighted with a short note once in a while, while others will reveal more about themselves will allow the relationship to become deeper. Later you may be asked for money for canteen etc or be given other requests. They may ask you to make copies for them or do hunting on the internet. You can say you just want to be friends and will not be giving them money, etc. Do not do anything you have any doubts about and feel free to email us for advise or call the prison to ask for clarification of rules if you have doubts about the appropriatemness of a request. All the way along in this relationship, remember you are in control over what you agree to do. Devale Randle,"I’m 21 years old. I’m 6’ tall and 185 lbs (bedroom physique… built to please and tease). I’m a bad boy with a heart of gold." Tracy Richmond, 42, is from Racine and gets out in 09, looking for female penpal of any race . Eric Reilly; 32, "Looking for a friend that can last a lifetime. Someone that can tell me the world is still out there . I've been locked up going on 14 years, and friends and family have faded away. Cantrell Robinson 22 . wants to share a few laughs in the down times, get back in touch with the world. Nate Rose single black male, 38 Looking for beautiful, lovely and understanding women. Jamal Russ; single , 23, from Milwaukee. 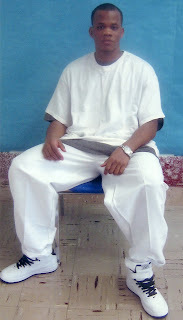 Antwaine Sago from Chicago, In Wisconsin prison. Has no family or friends here. Life sentence. Christian Schmidt has learned from his mistakes , is going to school to become a barber. James Scott,28, called “Leo” by friends, looks forward to conversing with anyone who is interested. William Shelby,43,looking for his soulmate. Martin Sinclair, 24 years old, says he has “the soul of an old man,” has eloquent, down to earth introduction. Includes two photos. Kirk Skopinski,quiet man and strong. "I don't mind who I write, male or female." ,Patrick Stearns,, 21, offers a poem and sincere words. Corry Swanson 26, in seg, Irish/Swedish descent looking for someone who will write and "be my window to the world." Casey Thibodeaux see past my incarceration you will find I am, passionate, caring and open. Steven Torres, 33 years old, in CA, short and sweet intro with picture. Joey Torrey,Been in for thirty years, since age 18, to be released in 2011, lost all contacts, please write; fine artist. Roberto Velez, 30 years old, Hispanic, will be getting out soon , says "this bad boy would really love to meet one really good girl to share some laughs and see what the future holds." Bill Four Horse Wallshleger wants "to walk softly on Mother Earth and live in peace and harmony with all of God’s creation";looking for "someone to share my hopes and dreams with"
Juan Quentin C.Ward,"intelligent, Black, handsome, Scorpio male"
Troylee Washington says “I’m a real down to earth intellectual person. I enjoy reading, writing poetry and making up jokes. Kenneth Williams says "I would appreciate it if you would give yourself a chance to know me-keep an open mind. Nothing is expectd or required except sincerity." Howard Williams, is 38 years old, an inventer , Is in the Boscobel Prison and is asking for help with learning. 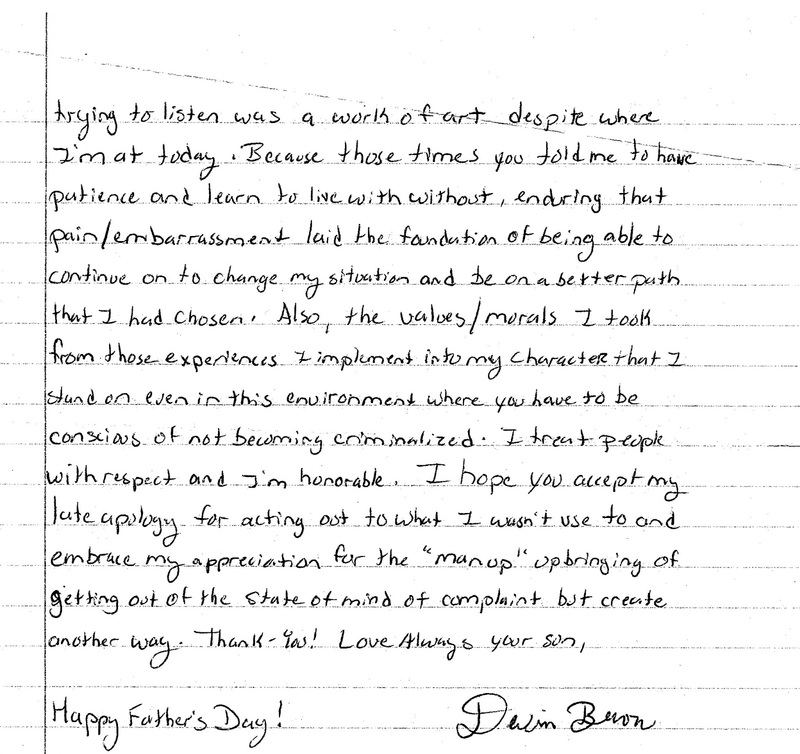 David Wilson“a sincere plea from a lonely incarcerated men in search of a positive , non judgmental, compassionate woman.” man of many sides, much wisdom. Eugene Lorenzo Wilson,wants penpal relationship built on trust; college educated,former serviceman, out in 2010. Samuel White,"a man of god in every sense of the word." Jason Whitson,30 years old , white ,in CA, in search of meaningful friendship with a woman. Nathan Hall,29, single Christian man seeking strong friendship and maybe a future. Shawn Harris, "Big Six" search for that special lady with which to build a relationship before release. Terrance Harris,29, says "If you're open minded and would like to give something different a try - I'm the one and you won't be disappointed. All responses will get a reply! I look forward to starting something new! 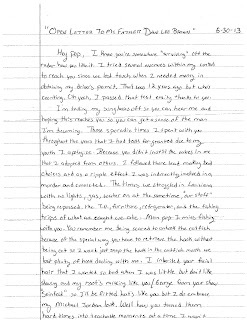 Lyle Hayward 39, in the “blackhole of the Florida prison system,” eloquently describes his need for friendship. Montae Henderson 34; CA; Now I can tolerate solitude, but this loneliness has become an unbearable ache. Tony Henk, "looking for someone that can let me know how life is outside of walls or fences. Plus someone that believes in the creator of life of the earth." Kevin Hogue, from Virginia,"to the sand,a mere gentle breeze feels like heaven"
Willie Holland, has short intro- wants "nice understanding woman with a big heart too." Tramell Hurkes, 27,an outgoing person who likes to laugh and make others smile. Edwin Jay Hutchinsonhoping to use the short prison time left "in learning more of one another, and after release, continuing the relationship"
Gary Jackson,"I am who I am. ""reflective, progressive, a student of life." mark Jacobs,”peanut, 25, looking for a good friend to bounce ideas off of. Xairer Johnson, ,NY, 34, soon to go home, will respond to all. href="http://friendsofprisoners.blogspot.com/2009/04/kelvin-jones.html “>Kelvin Jones ,age 31, very open minded with a nice sense of humor. Leroy Jones,Figure Since Conversation's The Key To New Beginnings, Why Not Start There? 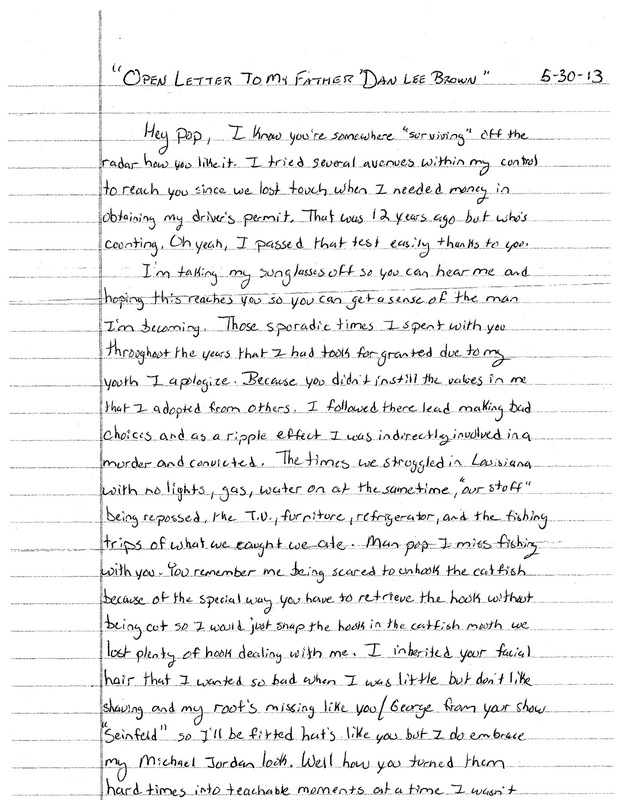 Anthony Kane, now 33, was 18 when incarcerated, asking for a special lady to teach him. Will be out in 2011. Brian Khlem Age 21, Asian ; interests are reading, to exercise and expand my mind, drawing, and writing poetry as well as songs. Eric D Lee, in search of a friendship that may turn long term. Has many future plans. Antoine Love born 1959, in NY "the ultimate gentleman", finds himself lacking in emotional support, looking to write women over 30. Nicholas Lyons, from Brazil, has no family here. John Luke, 31 years,has blue eyes.plays sax. Short intro with picture. Cornelius Maddox, 33, says, "I'm looking for a true experience of real friendship with someone who believes in second chances. To any single female who is interested in having a friendly, mature, adult conversation, please feel free to write me." Tyrone Matos;Black Puerto Rican, now in NY, "well built, mature, honest, loyal, understanding, sensitive, caring, and fun loving"
Paul Memmo 49, gay, looking for gay or straight friends and needs computer research help. Somnang Mey,20,an Asian Cambodian, is looking to sharing humorous conversation with someone who is considerate. Derek Mosay, 23 years old, full blooded Native American, has 2 1/2 years left on his sentence and “nothing but time to waste, so I'd love some fan mail!!!" Lavar Mullen, , 23, in Wi ,going into army or College full time when gets out. Terron Napper 39, from Milwaukee, interested in sharing, understanding. Hung Nguyen, born in Viet Nam, father American soldier, skilled in many arts, Christian, release date 2015. Christopher Pardum, 48,says he’s a real nice guy from Spokane WA and is in a Texas Prison. He is looking someone to write back and forth with- will even pay for stamps! Lester Parham,CA, 51, wants to open the door to your heart in hopes of starting a lasting friendship. Earlie Paton says"If you are wanting an open-minded, understanding, caring and loyal correspondence with someone that listens and can really connect with you on any level, then, I’m that person. Leon Elijah Prioleau Sr;seeking HIV positive woman, has tested positive since age 19. Luis Arroyo 28, outgoing, easy to get along with, looking for a friend that´s kind, sweet and outgoing. "Looks mean nothing to me. I look for beauty within the heart." Raul Arteaga, 36, half Native American and half Mexican, from South Side Milwaukee, enjoys the outside life and will be in jail for a few years. Leslie Bing,in PA, would like a relationship for friendship and spiritual growth, a lonely soul reaching out. Larry Bracey,middle aged gentleman looking for penpals. 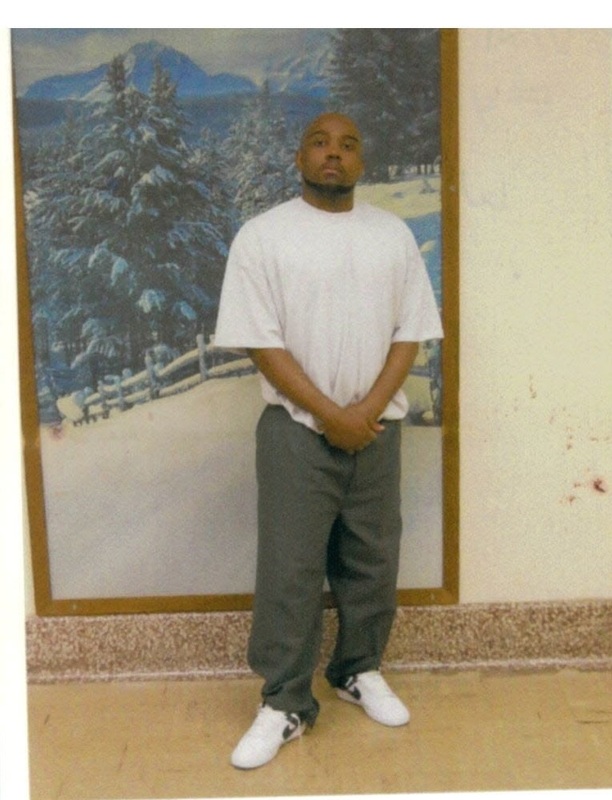 Joseph Bradshaw,, in CO Federal supermax under three strikes, needs friendship, will answer all. Derrick Brown 21,says "I have limitless conversation, personality and good times to give." Derrick Brown26, has no family support, in segregation and working hard to make positive strides. "I just hope I can find someone in this world to correspond with that is truly trying to be faithful to God";offers essay on "spiritual politics." Steven Wayne Brown45, Texas, with concise message. Christopher Bunch, 21, seeking female penpals. Herbert Burrows, 23, says "We learn the value of a thing when we have lost it… I’m here for you in the words and concern as needed as a friend without judgment"
Michael Paul Cantrell, native American, 39, a traditional dancer. Antoine Clark,33, has been in prison for 13 years in Illinois and says” I’ve gain more than I’ve lost”. Looking for a friend to help him pass his last year in prison. Jesse Cole51, out in 09, “just a lonely guy who made a few mistakes.” Good at listening and not quick to judge. Eugene Cherry:in solitary, gets one stamp a week, needs friends. Mr Elbert Comptonwith intro called "true essence of captivation"
, Cordell Marquis carter. 24, born again Christian, striving to lead a better life. Josh Cothran,looking for someone who enjoys a genuine conversation, likes to exchange photos and have a good laugh. Troney Cross: "I’m 29 years of age to those who care, but as old as the situation and as young as the reason to those who don’t", is a poet, thinker, in search of real contact. Antoine edwardsSays "I’m in pursuit of a woman who is serious about her dreams, aspirations and knows what she wants out of a relationship." Myron Edwards,has ideas "dying to come out"- needs friends to communicate with. Jim Emerson, looking for a friends to help heal a broken heart. Kweku Fitzpatrick looking for sincere friend. "Don't be shy, lets give it a try." Paul R Garcia, Mexican/Filipino,looking for a penpal to discuss life and God. Lloyd Garcia31, in NY, seeking females only. Moleek Garret 30 year old Black male in NY, in for sale of controlled substance, out in 2009 , looking for friendship. Larry George and poem "totally frustrated"
Eric Gomez, Mexican Indian, included here a beautiful poem "Flying Free"
Dante Goodlaw, young African American, is looking for someone he can communicate with, - a person that knows that small things count and isn’t afraid to rake chances. 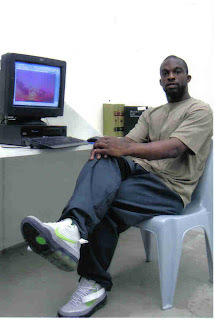 Billy Gordon,38, currently poet and tutor, college educated, in MD prison, nick name “Bee Jay”, looking for a friend. Ron Greer, Would like to use this time to set up a workable relationship, iron out the wrinkles in a new friendship. Frankie Groenke,sentenced as juvenile , needs outside friends. Joey Torrey, Been in for thirty years, since age 18, to be released in 2011, lost all contacts, please write; fine artist. Douglas Locust"I am an incarcerated and intellectually open –minded male, with a Christian demeanor, 45 years young"
Tony Henk,48 years young, "looking for someone that can let me know how life is outside of walls or fences. Plus someone that believes in the creator of life of the earth." , Jesse Cole51, out in 09, “just a lonely guy who made a few mistakes.” Good at listening and not quick to judge. ,Tracy Richmond, 42, is from Racine and gets out in 09, looking for female penpal of any race . William Shelby, 43,looking for his soulmate. Larry Braceymiddle aged gentleman looking for penpals. Willie Vance, down to earth,knows the value of a true friendship. mentally ill stuck in segregation- especailly needy. Please contact FFUP if you choose one of these prisoners. I suggest you check with me at swansol@mwt.net if you choose to write any of the prisoners listed before 2012. This is where FFUP started 12 years ago and the blog got so big and the links so complicated and time consuming that I basically abandoned it and started new penpal blogs by category . I will post new penpals here in the beginning of the blog-check dates of posting for newest ones. 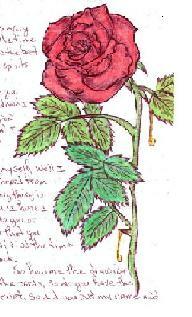 Tips on writing prisoners, letter forwarding, suggestions of penpals, are on main web-www.prisonforum or contact FFUP by email: swansol@mwt.net. 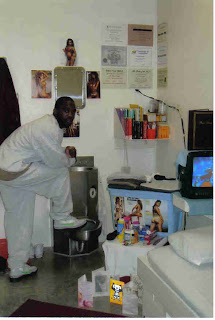 Current addresses of most prisoners are on www.vinelink.com. We strongly advise that those under 18 years of age do not write prisoners unless they are related or were close friends before incarceration. We have a Post Office Box you can use if at first you do not want to use your own return address in writing a prisoner. Make sure you give us your real address , however, so we can forward the prisoner's mail to you. FFUP (Forum for Understanding Prisons) is a a small and dedicated group of prisoner supporters. 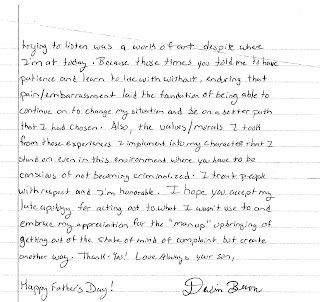 We write and visit prisoners, advocate for them and work with their families. While attempting to help these men and women survive their incarceration ordeal, we also work on the larger issues to help bring about a justice system built on respect for all and belief in healing. Here in this blog , we are trying to put a human face on our prisoners. Please use our email if you have any questions, comments or would like to help in this most important work. swansol@mwt.net Also, you can go our help page to see details and a copy of our most recent grant request. Even An hour a month typing would be of greatly appreciated.